Imagine a tech world where the ‘us vs them’ mentality wasn’t a thing. While Apple and Samsung are still sniping at one another, the more mature Microsoft and Google have seemingly put their differences aside. In a joint statement to Recode, the two tech giants revealed they have reached an agreement to end all regulatory complaints against each other around the world. The companies have said they will now try to work together to solve any issues that arise before filing official complaints. The idea behind the agreement is that both companies can focus on competing on a product basis, rather that in the court room or by attempting to hinder the other’s innovation. 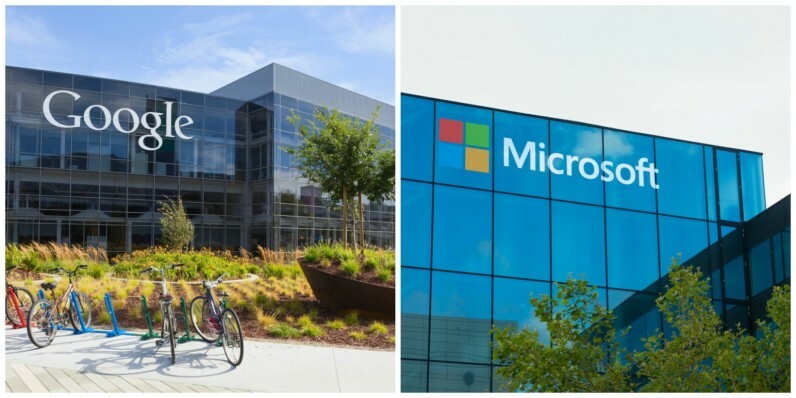 Speaking to Recode, a spokesperson for Microsoft ensured that the pair “will continue to focus on competing vigorously for business and for customers.” However, there have been no cross-platform agreements made as part of the settlement. So, while it doesn’t mean we’re likely to never see Microsoft and Google hashing it out in a courtroom again, it means that if it does come to that, we can be assured the companies have at least tried to work it out before calling in the big guns.